Due failing health, the boat has not been mainlined to its normal standard for the past 18 months. Some time, effort and elbow grease is required, to return this cruiser back to her former glory. The boat has been keenly priced with this in mind. The cruiser has a comfortable, homely and practical interior. The Norcold fridge, 4 burner cooker ,pressurised hot and cold water, make the galley a winning feature. From the bowsprit to the aft end of the bathing platform she measures 29 feet. Featuring a good size cockpit with a stern door, which is entered from the swim platform. The head has an electric toilet, shower and a holding tank, which can be by-passed. 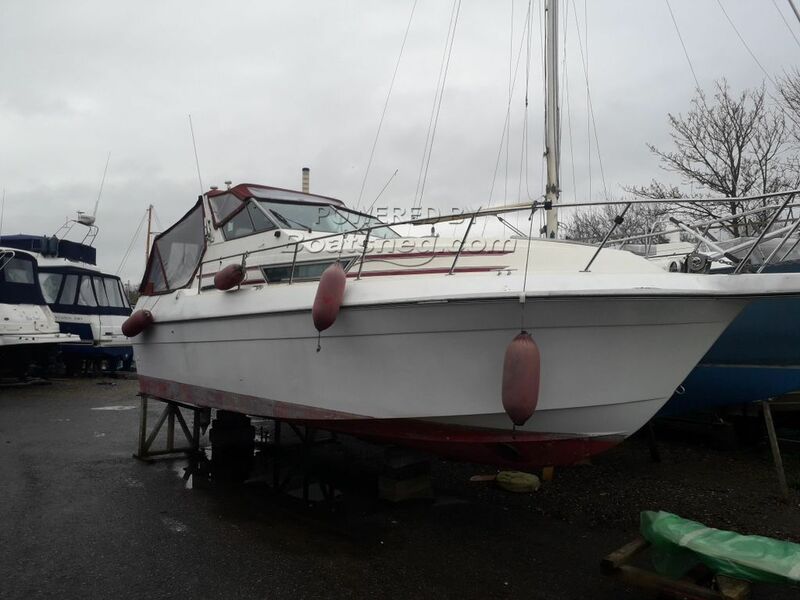 This Cruiser International 26.70 has been personally photographed and viewed by Anthony Silver of Boatshed Lymington. Click here for contact details. Please note this comments section is public. Please do not post your personal details here. To enquire about purchasing this boat, please contact the broker directly at anthonysilver@boatshedlymington.com. Please read our commenting guidelines before posting.